I have to say, I know a lot of people who have ideas – good ideas, that could actually amount to something, but they are just ideas all the same. This can be a product, service or anything. But the amount of people I know that actually have a GOOD idea and go through with it? One. Just the one, and I am proud to say I not only know him, but I also work with him. About a year ago Martyn was running Lime Photo, his photography agency which focused on School proms. This was great in the summer, but in the winter months work wasn’t as free flowing as he would have liked. So something had to change. 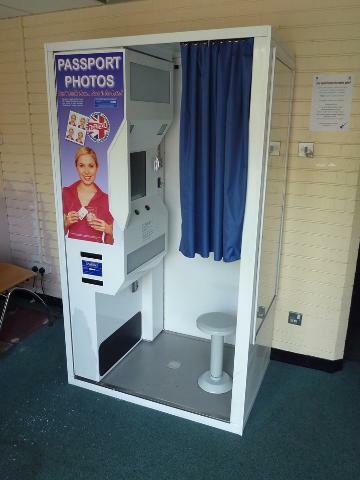 As the year went on he started to mention that he would like to build a photo booth, the sort you sit in when having your passport photos taken. I must say I wasn’t enthralled by the idea – but when he went on to explain that it would be available to hire for private parties and weddings, the light came on. So sure enough, the summer came and went, the proms came and went, but more importantly the idea became a reality. Now this didn’t ever sound like a cheap idea, but it was never about the cost with Martyn, only the potential. This had great potential. I believe it took around 4 months on and off to get fully complete. And the first day I saw it finished was a week after it’s first night out – I am pleased to say it survived. For it’s first test, Martyn took the booth to a local night club… my chin nearly hit the floor when I heard, I thought that was it and all his hard work was about to get ruined But it survived. The booth is so robust, even a couple of hundred drunken youths couldn’t ruin it. Last week Martyn hired a studio for the day and I went along to help set it up so we could take some decent photos of it for the website. It was only then, when putting this booth together and touching all the panels with my hands and moving the equipment in to place, that Martyn’s idea, his dream had come to life. He had spent his fair share of money, spent more than his fair share of time… but it all paid off. The booth looks great and the smooth operation of the system adds a touch of class to the overal package. I know it doesn’t mean automatic success, but if you’ve already put in this much effort then it shows you have the right mindset to make the business work. If Martyn runs this as a business and not a hobby (which he will) then he has every chance of succeeding. I guess, what I’m trying to say is that no matter what the costs are, or the what the effort required is, if you have an idea or a dream – go for it. At the start of 2012 Martyn and I set out to build a review website for Schools. This would be aimed at parents and serve as a tool on which secondary school choices could be made. After a few months of building the site we were ready to launch. On April 1st we were ready and Skoola was launched. The launch went great, we showed the site to family and friends and after lots of engagement started pushing it out social networks. By the end of April we were pushing 50 users daily. This was great, and more than we could ask for. But this was only the start! Along came May – the month Skoola kicked off… Word went around on the social networks and before we knew it, search engines had picked up on the site. Within 6 weeks we were firing on 3 all 3 fronts, Google searches, word of mouth and social media referrals. Across May we averaged 100 visiters a day, sometimes peaking at 180. And it just carried on, June came and after 2 weeks we climbed above 200 visiters on 4 days of that week. We thought we finally made it… Google Adsense was starting to be quite fruitful as well. Of course we didn’t want to get carried away, but how could we not get our hopes up with these results only 2 months in! And then it happened, Google released an update. A few days/weeks later, it all came tumbling down. Now I’m no SEO expert, but I know we weren’t using any underhand tactics (or not knowingly doing so), we didn’t pay for back-links and we didn’t have any links pages on our site full of free and not relevant links. So we were pretty shocked to see how quick the hits fell (and still are). Half a year later, a few more animal named updates from Google and we are finally starting to climb again. Averaging 40-50 users per day, 90% from Google, and over 1000 a month. We can’t be too unhappy, as it was probably a bit of a lucky start that we had back in April. But all in all it helped us, it made us focus on the site and get our act together. These few things made a difference, I am not sure how much – but it has helped. We are seeing the benefits of this now and the site is better and more usable for it. Maybe one day I can afford to get an SEO Guru on the case, but until then I am happy to let Google do it’s thing. Just as long as we don’t get punished again! If you, or anyone you know has any questions about Skoola or the data on the site please get in touch here. So I don’t know if this has a real name or not, so I’m going to call it the ‘Beckham effect’. The man who they call Golden Balls has signed for PSG in France, this is great for him and his career. But not only has he signed a 5 year contract, but he isn’t taking any wage from the club. Instead he is donating his wages to a local charity fund that he is supporting. Only one player in the world would do that at the moment and that is Beckham. People all around the world love him, and this image just shows the influence he has. While flying to Paris earlier today he uploaded a picture of himself to his Facebook page. After only a minute the photo had over 12,000 likes! Now if that isn’t amazing, then what is? Business Insider has an article explaining that this happened before with another app, called Viddy. The problem is, this will always happen and to be honest… there isn’t anything Twitter or Vine can do about it. I doubt they will close the app, so for the time being they will just have to vet all the videos, and rely on the users to flag the inappropriate content. Either way, I like Vine, I think it will kick off big time. Go and search for the tag ‘Magic’! Disclaimer: this blog post may or may not be anything to do with web design. That is all.